Paul has been involved in housing innovation for over 30 years - from the earliest days as committee member of the Australia Model Code for Residential Development (AMCORD) to CEO of the Urban Land Development Authority trialing leading practice housing at Fitzgibbon Chase. Paul has professional qualifications as an engineer and town planner as well as a development experience ranging from individual project sites to master planned communities such as Forest Lakes and Varsity Lakes. His passion is delivering housing to meet contemporary housing needs, in particular housing that is affordable to first home buyers and that will cater for the emerging demographic changes such as the increasing number of single person house holds, working from home and shared housing solutions. Michael is a qualified tradesman with over 7 years of experience. Michael constructed Green Street Homes Fitzgibbon SOHOs and Corinda share house. He 'lives the dream' in the Corinda share house with three others. 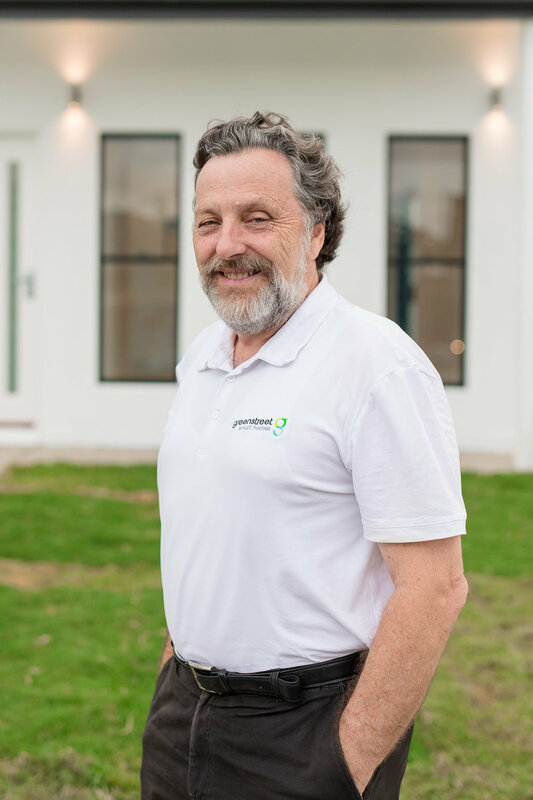 He is widely experienced in light weight construction and building techniques to improve efficient and cost effective innovative housing designs. Jenny is incredibly passionate about providing a high level of customer service throughout the sales process. She is particularly interested in helping first home buyers along the journey when buying and building their first home. She is experienced in selling a variety of entry level housing across South East Queensland for both large building companies and small before settling into her role in this family business.